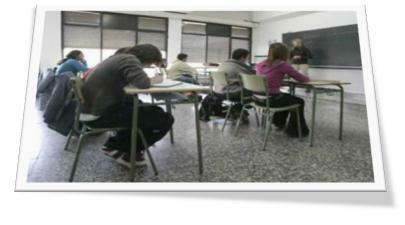 The Project also encompasses a series of conferences devised for Secondary Education Centres in the Alicante Province. will initiate students in the EU institutional system and EU policies. will analyze how Spain's accesion to the EU and the concept of European citizenship affect Spaniards. The resources on the EU provided by the Internet . Jaume Ferrer, Professor of International Law of the University of Alicante gave the conference The European Union in the face of the migration crisis to the students of 4th ESO at the IES María Blasco, in an event organized by the Interuniversity Centre for European Studies of the UA. In this talk, the effort made by the EU in humanitarian aid to Syrian refugees was highlighted, a topic that aroused great interest among the students.